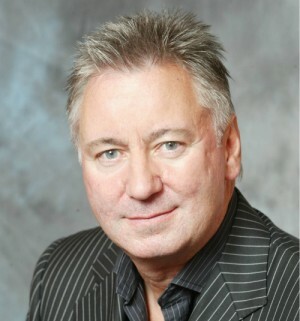 This week it’s Gordon Beattie, chairman and founder of Beattie, the creative communications group. He has just written Thought For The Day, a business book available on Amazon, containing daily musings on marketing, leadership and out-gunning the competition. Some people are saints, others are sinners and there is no doubt which camp I’m in. I’ve been in business for more than 30 years, first as a journalist, then as a PR man and now as a self-styled creative communicator. As well as launching three successful marketing consultancies, I’ve helped build the UK’s biggest whisky retail chain, a vintage wine business and a specialist insurance brand for the active traveller. I’ve had a ball and made a shilling or two but I’ve also made every mistake in the book. As I said, some people are saints, others are sinners and my book catalogues my many misdemeanours. It also endeavours to tell my gentle readers how to avoid the bear pits I fell into. I, for instance, have tumbled into the recruitment mineshaft many times. I’ve recruited every charlatan in Britain but I’ve learned from my mistakes and, I’m proud to say, I’m now surrounded by outstanding people. I look for individuals with IQ + RQ + EQ – intelligent people who think rationally but possess a high emotional quotient. I also insist on recruiting people who are better than me. Most people don’t do that. Trying to control everything was another sin I committed in the early days of building Beattie. Now I’m the world’s best delegator. Here’s my tip for control freaks – if you need to get something done, lose control. If it’s your project, it’s your project. If it’s their project, they will assume ownership. To move mountains, pass proprietary rights onto others. I’ve also learned to trust the wisdom of youth, especially when it comes to campaign testing. If you want to know whether a campaign will work – ask the kids. Is it too commercial? Ask the kids. Millennials understand brands better than old gits like me and they can smell bull from outer space! I’m also not a fan of market researching campaigns. Just ask yourself – would I watch it again and would I share it? If the answer to either question is no – dump it! I have to admit, I have some leadership skills and the best leaders realise their people are hungry for responsibility, so they feed that need. They understand that recognition is more valuable than financial reward and they know that personal development is the springboard to greatness. Give your people these gifts and you will spawn the leaders of tomorrow!